Kimberly is a National Board Certified Teacher. She is also a 2009 recipient of the Phi Delta Kappa “Outstanding Educator Award.” Kimberly has taught English Language Arts for 12 years in Los Angeles and Pasadena Unified School Districts. Kimberly graduated from Trinity Christian College in Palos Heights, IL with an English major and minors in both Communication Arts & Dutch. She is also a graduate of Fuller Seminary in Pasadena, CA. 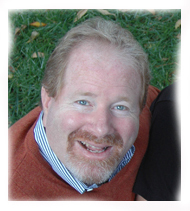 Randy has over fifteen years experience teaching, training, and working with teenagers in school settings. He has taught fourth and fifth grades in Los Angeles Unified School District. He has spent almost a decade training school personnel at private schools around the country in quality standards for academic, clinical, and residential services. Randy has graduate degrees from U.C.L.A. and Cal State University Northridge. Along with a passion for education and learning, Randy brings experience as a school counselor in elementary and high school settings, public and parochial. Shelly recently completed the teacher preparation program at Hebrew Union College. She is a long-time board member (and former parent) of the Weizmann Day School in Pasadena. But prior to this, Shelly spent over 20 years as an employment lawyer with a large, top-tier L.A. law firm. She has her JD from the University of Texas School of Law, a Masters of Public Affairs from the University of Texas Lyndon B. Johnson School of Public Affairs, and a B.S. in Economics from the University of Pennsylvania’s Wharton School. She is very excited about earning her California Teaching Credential and beginning her second career. An incurable math enthusiast, Alexander believes that strong math skills provide the mental tools to tackle all kinds of important and fun challenges in life. Alexander completed a rigorous program of higher mathematics while attaining an MS in engineering at Moscow Aviation College, a top engineering school in Moscow, Russia. After obtaining a second degree in music education, he taught for five years at the middle school level. Claudia makes a fuss over making sure her students read relevant science news and research that bring classroom topics to life. Achieving complex scientific literacy is a major goal in her class not just because it helps to make science more interesting and enhances scientific thinking, but also because it provides important information for making daily decisions about life, health, and society as a whole. Claudia has a PhD in Molecular Medical Pharmacology (she loves the neuroscience aspect of it! 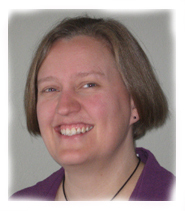 ), she previously taught middle and high school Biology, and she currently teaches Chemistry and Environmental Science. 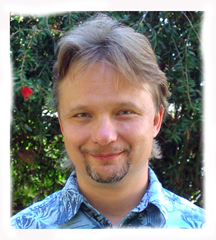 Dave spent 17 years exploring the solar system with NASA's Jet Propulsion Laboratory with some time teaching mathematics at Pasadena City College and operating his own web-based business. He earned his undergraduate aerospace engineering degree from San Diego State University (his hometown), his graduate aerospace engineering degree from the University of Michigan - Ann Arbor and his MBA from the University of Redlands. His wonderful wife, Katalin Herman, passed away in late 2011. Libraries were a place of significance for them throughout their lives, so he has become actively involved as a member of the Altadena Library Foundation since November 2013. Yussif Kamal, an ex-pat from New York City, has worked extensively in film, television, and theater for five decades. He has performed in venues such as Lincoln Center, The New Group, The Atlantic Theater, New York Theater Workshop, Mabou Mines and The Culture Project; and he has worked regionally at Arena Stage, The Shakespeare Theater of Washington D.C. Baltimore Center Stage, La Jolla Playhouse, Berkeley Rep and The Brava Theater in San Francisco. Yussif earned a B.A. in Theater at Vermont’s Saint Michael’s College. His vast experience has been put to use in workshops for professional actors – and also for a number of elementary and middle schools. The Peace & Justice Academy is proud to be among them. 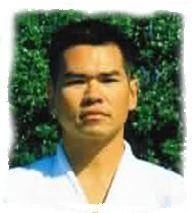 Ethan Tam, our martial arts Sensei, is a professional 5th degree black belt in Harmony Aikido. He's currently Chief Instructor of the Harmony Aikido Association. He has been training with the founder of Harmony Aikido, Yu Sensei, for over 10 years. In addition, he has been exploring several different types of martial arts, involving different training and applications in internal and external martial arts. 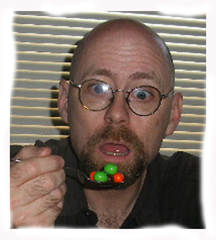 Bob Nolty is a restless soul with a Ph.D. in Physics from Caltech, a love of hearing and making country music, experience making movies small and large (including three years developing software for Avatar), and jobs teaching pre-meds and TAing a Guatemala trip for Christian psychology students. He is the school's go-to IT guy and is constantly striving to make our systems better. He is also teaching our elective, Digital Media, which involves learning to argue with the messages in commercials, songs and movies as well as learning to produce good video. He wonders if his video asthetic still applies to the YouTube generation. Anthony Manousos is a writer, editor, teacher, and Interfaith peace activist who serves on the boards of numerous interfaith and Quaker organizations. He has taught at numerous colleges and universities, including Carleton College, Rutgers, Pepperdine, UC San Bernardino, and San Bernardino Valley College. Currently, Anthony resides in Pasadena with wife, Jill, in their home which they have carefully redesigned to minimize their carbon footprint. Anthony holds degrees from Boston University in English and the Classics, and a PhD from Rutgers University in British Literature. Joshua Muthalali is a PhD student at Fuller Theological Seminary in Pasadena, CA. At Fuller, he is doing a major in Systematic Theology and a minor in New Testament. Joshua recently completed a Master of Divinity program (with a concentration in Family Pastoral Care and Counseling) also at Fuller. Prior to that, he did a double major in Biblical Studies and Accounting at Lee University in Cleveland, TN. Originally from India, Joshua has also lived in Dubai and several states in the U.S. In addition to teaching, he is a youth coordinator at his church, Indian Pentecostal Church Los Angeles. In his spare time, he loves to make music and art. Susan Cameron earned her BA Communicative Disorders from Cal State University, Fresno, a JD from the San Joaquin College of Law, and an MDiv from Fuller Theological Seminary. Trained in theology, education, and law, Susan Cameron has put her passion for peace and justice into practice as a professional mediator and conflict management consultant. She has taught and trained in multiple disciplines in nonprofits, corporations and schools from kindergarten through Masters Degree levels. Through Destination Imagination, Susan seeks to nurture creativity, collaboration and interdisciplinary curiosity among P&JA's students.